Section 402.4.2.1, Testing option has been removed. Section 403.2.2, Sealing Mandatory has been removed. Table N1102.1, Insulation and Fenestration Requirements by Component, has been amended by adding certain exceptions for log walls. Both the residential and commercial code are mandatory statewide. All new and renovated buildings and additions constructed within the state must comply with this standard. Local jurisdictions may adopt more stringent codes. 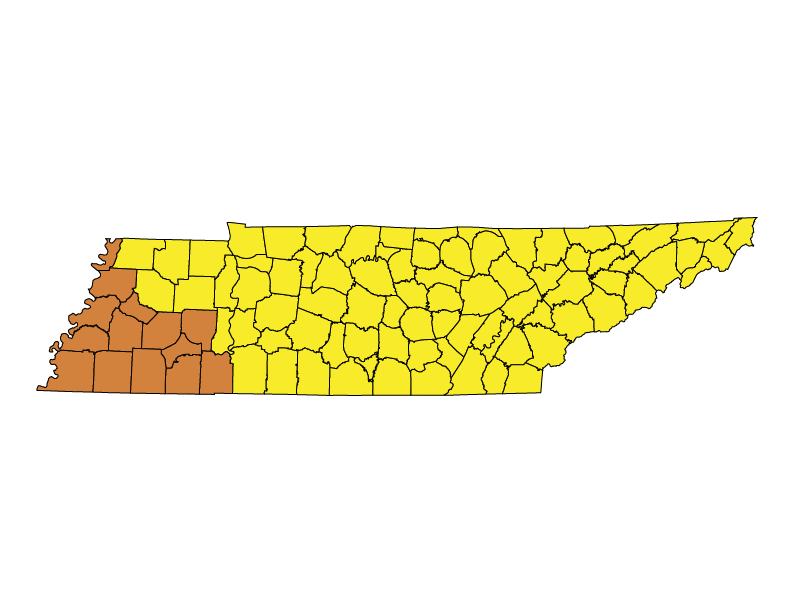 Nashville/Davidson County, for example, has adopted the 2012 IECC. Legislative: Changes to the state’s energy code proceed through the state legislature. The Tennessee State Fire Marshal’s Office announces that it will begin the implementation and enforcement of adopted energy codes for new building project submissions as of July 1, 2011. These include ASHRAE Standard 90.1-2007 for all state buildings and Chapter 11 of the 2009 IRC (with the 2006 IECC as an alternate compliance path) for all other residential and commercial construction. Effective July 1, 2010: For new construction and additions to state buildings, the energy efficiency provisions (Chapter 13) of the 2006 International Building Code (IBC) will be replaced by ASHRAE Standard 90.1-2007. Effective October 1, 2010: The statewide standard for one- and two-family dwellings and townhouses will be the 2009 International Residential Code (IRC). The energy efficiency provisions (Chapter 11) of the IRC will be replaced by the 2006 IECC. Effective October 1, 2011: Residential additions of 30 or more square feet will be included under the statewide residential standard. Before July 1, 2010: Local jurisdictions that have adopted a residential code that is current within 7 years of its current published edition (i.e. 2003 or later version of the IECC or IRC) must notify the Division of Fire Prevention of their intent to undertake their own enforcement program. The Division of Fire Prevention will enforce the statewide residential standards in jurisdictions that do not have enforcement programs. Local governments that do not adopt and enforce a residential code may opt out of the state enforcement program with a two-thirds majority vote of the local governing body before July 1, 2010 and again after subsequent elections for that body. Companion bills (HB 3215 and SB 3192) are introduced in the Tennessee House and Senate that would establish ASHRAE 90.1-2007 as the minimum energy standard for all new buildings that are not 1- and 2-family dwellings. The bills, however, also allow jurisdictions to adopt Standard 90.1-2001, its equivalent, or a more stringent code. The state currently does not have a mandatory energy code for this construction. The state Fire Marshal’s office will adopt the new state commercial and residential energy codes, which will be based on a combination of the IECC and either the IBC (commercial) or IRC (residential). This combination will be chosen from either the 2006 or 2009 code series. In local jurisdictions that have already adopted codes equivalent to or exceeding the 2006 IECC, the new state codes are not required to be adopted. The state will enforce the IECC for residential and commercial buildings in jurisdictions that do not have inspection programs, but only in those that do not choose to opt out of the state code with a two-thirds vote of the local governing body. Jurisdictions that do have their own inspection program may adopt any edition of the IRC within 7 years of the latest published edition of the IRC. They can enforce any edition of the IECC that is within 7 years of the latest published edition or enforce Chapter 11 (energy efficiency) of an edition of the IRC that is within 7 years of the latest published edition of the IRC. The provisions of the new state code will sunset in 2014. Governor Phil Bredesen signs SB 2300 (Public Chapter 529), placing residential energy efficiency codes under the purview of the State Fire Marshal, who shall select the specific ICC code edition to be implemented. The bill does not reference the IECC, instead establishing the IRC and IBC as adopted codes. During debate on the bill, the state House considers roughly 20 amendments to SB 2300, attempting to allow counties to opt out of the state residential code. An amendment containing a sunset provision for 2014 is approved. The codes provisions of the bill now also include a mechanism through which local legislative bodies can “opt out” their communities with a two-thirds vote. Additionally, for communities that have somewhat outdated codes programs, the state will provide incentives in the form of free training and materials to encourage them to update their standards. The state legislature amends Public Chapter No. 907 by establishing the 2003 IECC as the mandatory minimum energy conservation standard for new residential construction on or after January 1, 2009. The law strongly encourages builders to voluntarily adhere to the 2006 IECC standards for residential and commercial construction. New legislation (HB 2757) becomes effective, giving local codes jurisdictions the option of whether to continue using the 1992 MEC or upgrade to the 2000 IECC with 2001 Amendments. This bill is passed on May 28th and signed by the governor on June 11th. The 1992 Council of American Building Officials (CABO) Model Energy Code (MEC) is adopted pursuant to Public Chapter 193, HB 641. Tennessee’s first energy code, the 1977 Model Code for Energy Conservation (MCEC), is adopted by the legislature.